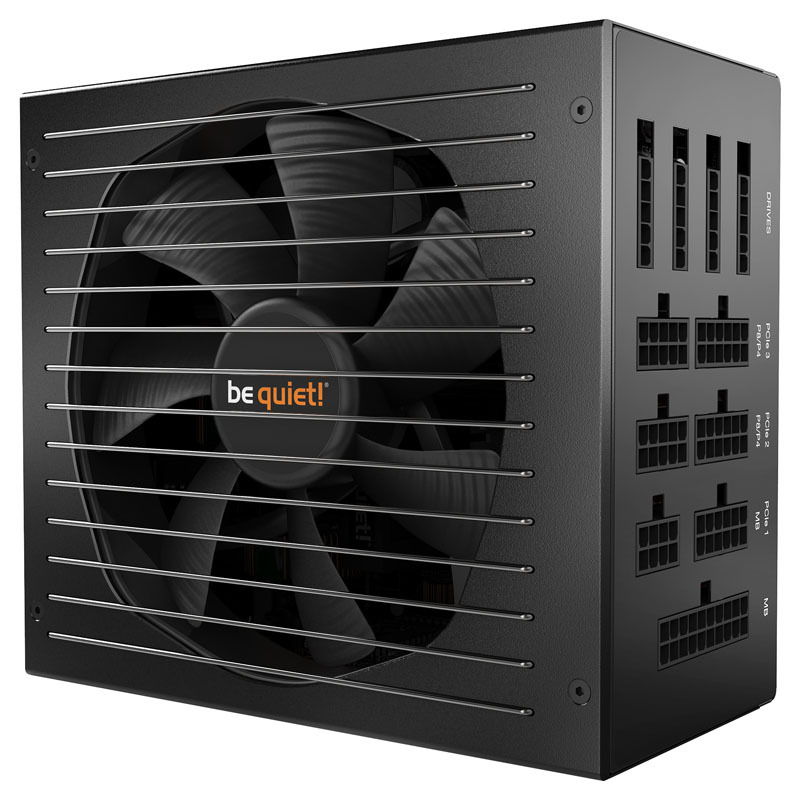 The arrival of the 11th series of the popular Straight Power series of power supplies from Be Quiet! represents a significant leap forward. Thanks to updated electronics, the performance of the power supply units has been significantly increased without needing to generate much more waste heat and without having to replace the already quiet fans. Additionally the cables on the Straight Power 11 series are completely modular. This ensures there are no superfluous cables to clutter up the inside of the case or impede airflow. This results in a marked increase in durability and lifespan, not only in respect to the power supplies but instead to all of the installed hardware. Thanks to these innovations, the 11 series is the their first power supply to offer 1.000 Watts. The Straight Power series stands for high quality. Since the exterior is already relatively refined in visual terms, Be Quiet! elected to retain the overall look and supplement it with a stylish anthracite-colour coating as well as some unusual fan grills. Behind said fan grills lie a set of highly sought after SilentWings 3 fans which also run quietly in spite of their high cooling efficiency. This is due in no small part to Be Quiet! wanting to remain true to their namesake. With premium Japanese 105-degree Celsius electrolytic capacitors as well as new half-bridges with LLC resonance transducers Be Quiet! even decided to increase the previous performance output by 50 Watts. At the same time, the standby power usage fell by 0,3 to just 0,12 while retaining the fantastic effectiveness of up to 93%. Of course it goes without saying that these value-oriented Straight Power-series power supplies also retained their 80 Plus Gold certification.